From the access to advice from seasoned writing coaches to the reminders to the scholarship emails, it was almost like we had a professional college counselor in the family. I wanted to help my special needs son choose a school to fit his needs and to stand out among other exceptional students. LifeLaunchr gave us extremely helpful advice on how to approach these issues. LifeLaunchr really helped not only in terms of picking a college and choosing the right one, but in the college application process, because it's such a lengthy and confusing process. 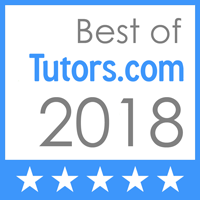 From outstanding math and science tutoring for subject tests to fantastic essay writing support to expert help looking for the right colleges to apply to and keeping my son on track, LifeLaunchr has been invaluable. Embarking on an expensive and consequential journey requires expert strategic and tactical help; this virtual coach for college planning thoughtfully helps students and families with the right tools for a better chance at success. LifeLaunchr’s new tool offers personalized college planning, admissions platform ... reducing the need to track down information in various locations around the Internet. Copyright © LifeLaunchr, Inc. All rights reserved.